One thing I learned from the last Sock Summit is that, for me at least, having knitting classes 4 straight days in a row is a recipe for being really really exhausted by Sunday afternoon. This time, I planned for that and allowed myself a day of no classes whatsoever on Friday. It worked out pretty well. Then I had the most delicious brown rice bowl for lunch from a food cart, which I ate too fast to be able to take a picture of it, visited a cupcake place and scarfed down a life-changing chocolate ganache cupcake, and hit Powell’s later with some fellow knitters. 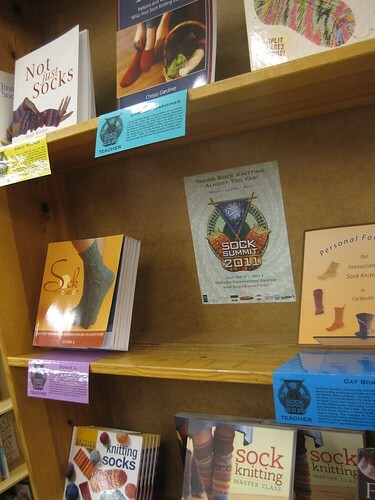 (Powell’s were ready for the knitters). 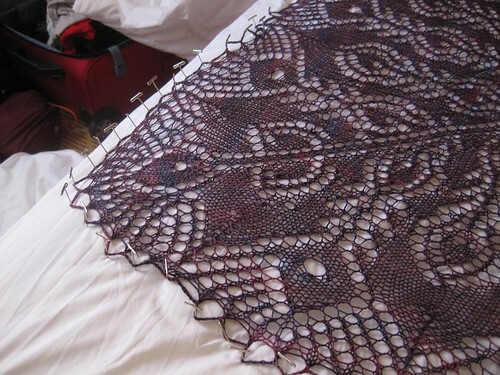 And, oh yes – I finished the crochet bind-off on my Peacock Feathers shawl and then BLOCKED IT. (Thank you, hotel bed). I do indeed get to wear it as my birthday shawl today. Today for my birthday I get to take knitting classes all day, shop with knitters, then have dinner with knitters. Looking forward to all of it! Hooray for birthday wishes coming true! I hope you have a wonderful day and get celebrated just as you desire and deserve. happy birthday!! 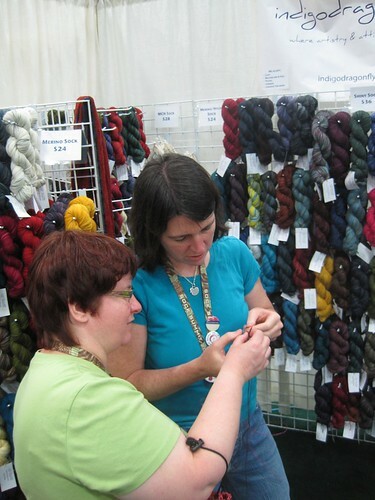 hope you have a wonderful day with all the knitters! keep up the blogging because i love lookin at what you are working on! you give me tons of inspiration! hopefully i can knit like that one day! Happy birthday, Glenna! I enjoy your blog so much. Have a lovely birthday and a lovely Summit! Sounds like a phenomenal birthday 😀 And the shawl is just gorgeous! You are definitely a girl who knows how best to spend a birthday. Have a great one and many, many more. Oooooo, happy birthday GlennaC! How fabulous that you will wear your very beautiful shawl today. BTW, today is also my daughter’s birthday, who is also an avid knitter and fan of your designs. 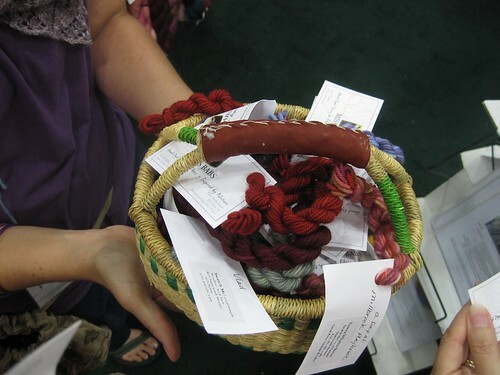 I hope that your stash budget is holding up well enough to treat yourself that that extra special skein today. Yarp! That’s a great, great shawl. Happy BD (again)! Happy Birthday! The shawl is gorgeous. Hope you have a wonderfully knitterly day! Happy Birthday Glenna, you are in a wonderful place for a birthday celebration for sure. Happy Birthday. What a great place to celebrate a birthday. Thank you for the pictures, they are wonderful. Remember I’m attending Sock Summit vicariously through, so the updates and pictures are greatly appreciated. Blocking on a hotel bed – now that’s a new one!! Happy birthday Glenna. I can’t think of a better way to celebrate a birthday. Have a happy one! Happy Birthday! Have fun wearing that beautiful shawl! Have a great birthday, and enjoy that gorgeous shawl! Happy birthday! 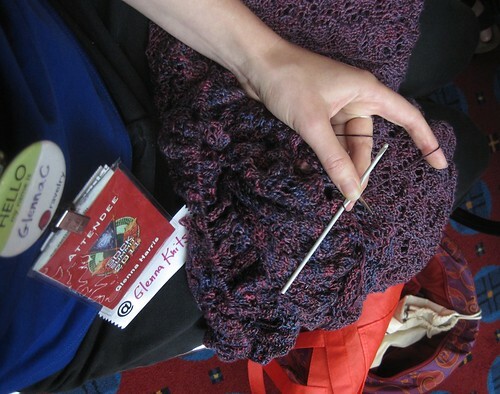 I was in Franklin’s class today and noticed your shawl – gorgeous, and awesome timing on the finishing! Hope your entire birthday weekend is the best! What a beautiful shawl! Sounds like a fantastic way to spend a birthday. 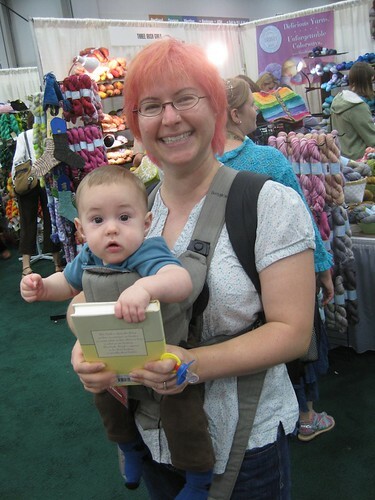 Glenna, would you mind sending me the pic you took of Jack and me at the market? (I’m the one in the pink hair :)) – I’m at amynharrison (at) mac (dot) com. Thanks! I’m so glad you met Baby Jack and his Mom! They were in one of my classes and I know she just bought your Viper Pilot Sock pattern and I was hoping she’d meet you! 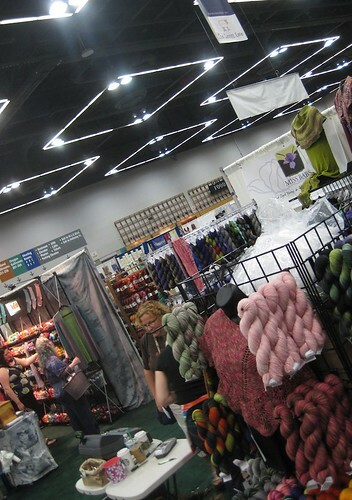 I didn’t came here like a week or so, and now seeing your posts about an event that is every knitters’ dream and all those beautiful photos I feel like in a candy shop. Thanks for sharing it with us, less fortunate ones. I’m so sorry for saying this late : Happy Birthday Glenna! PS: Thanks for encouraging me to start a Pi shawl, I did and I’m very happy knitting it.